New Delhi, 26 Jun 2018 [Fik/News Sources]: CPI (M) on Sunday said it opposes any amendment based on the religious affiliation of the people to determine their citizenship. 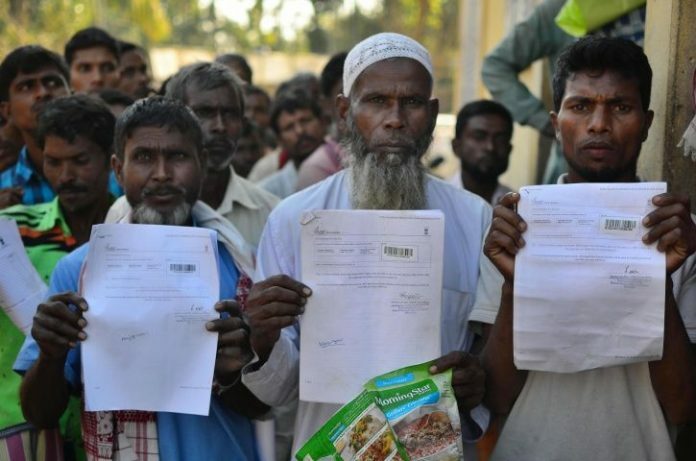 It also slammed the government for “deliberate discrimination” in the process of the updating of the national register of citizens (NRC) in Assam. The party also announced it would hold a national level convention for “popular interventions” to restore normalcy in Jammu & Kashmir. The Central Committee of the Communist Party of India (Marxist) met in New Delhi from June 22 -24 which took stock of the four years of the Modi Government. It expressed grave concern over the updating process in Assam and the proposed amendment to the Citizenship Act on the basis of the religious affinity of the people. Playing with emotive issues for electoral gains by the BJP/RSS is worsening the situation, it added. On unfolding developments in Jammu and Kashmir following the imposition of Governor Rule in the state, the party announced that it would organize a national level convention will be organized for popular interventions to restore peace and normalcy in the state”. The party also urged the government to urgently enforce confidence-building measures and start a political process through dialogue with all stakeholders. It also slammed the PDP-BJP alliance saying it was untenable since the beginning. The party urged the government of India to implement the CBMs and to initiate dialogue with all stakeholders as the situation in the state cannot be allowed to deteriorate further. It also urged the government to resume dialogue with Islamabad. It warned that with Governor’s rule now imposed, there is a “widespread apprehension” that the RSS-BJP will embark on a more “hardline position” under the pretext of combating terrorism. It also noted with serious concern that there has been a concerted attack on organizations and individuals championing the rights of Dalits and those who had participated in the April 2 all India bandh called by various Dalit organizations, particularly in BJP ruled states of Madhya Pradesh, Uttar Pradesh, and Rajasthan. The RSS-BJP has coined a new terminology of “urban Maoists” and five activists have so far been arrested under this garb for supporting the Dalit agitation, it said. The party said the CC Committee also took note of the “massive loot of public money by certain corporate houses”.iIn addition to the over 2.5 lakh crore waiving off of defaulting loans by corporates from public sector banks in the first three years of the Modi government, it is now reported that an additional Rs. 1,44,993 crores were written off, it added. The Central Committee called upon all Party units to organize protest actions on these issues. The CC also discussed the rise in the prices of petroleum products, continued agrarian distress, ties with the USA alleging India surrenders its sovereignty, Karnataka elections, bye-elections and other issues.